But good things don't come in excessive amounts because if they do, how can you really enjoy it? Because beauty also has the aspect of rarity. And for me, that includes excellent mangoes from the Philippines. Since these mangoes are special in taste (very sweet & succulent), I earmarked them for a special drink reminiscent of the mango shakes that I drank like water in the Philippines. 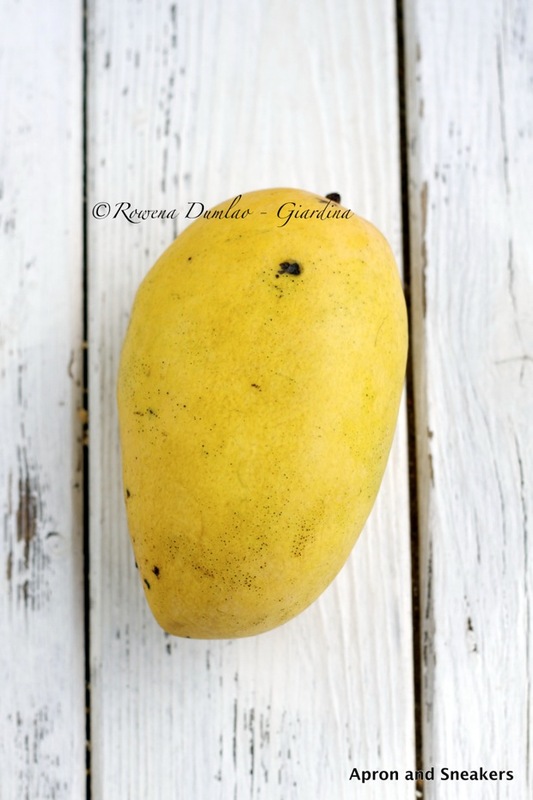 Some types of mangoes like the Philippine carabao mangoes don't need sugar to sweeten up anymore because they are already provided by nature with the perfect sweetness. Sometimes, it's even too much! 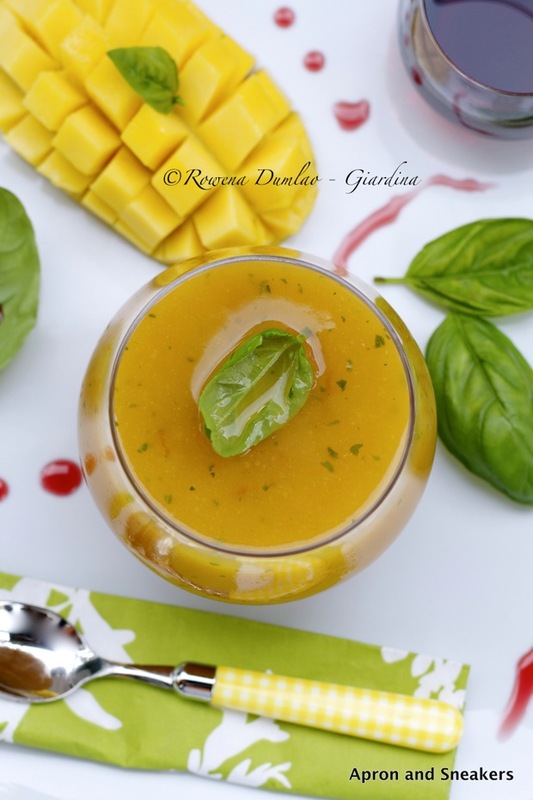 If you are using other types of mangoes, just add sugar or sweetener in the drink. I added some pomegranate syrup, not really to sweeten it up but just to add a trace of another fruit. 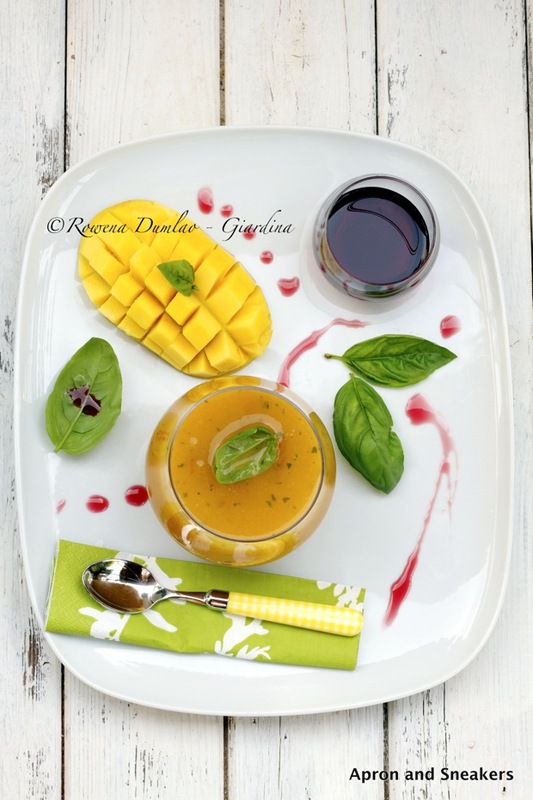 Instead of water, I used a steeped teabag (use whatever kind you like but not the strong or flavored ones) as a base then the mango, some fresh basil leaves from the garden and loads of ice. I loved the way the basil squeezes in its delicate aroma and flavor. 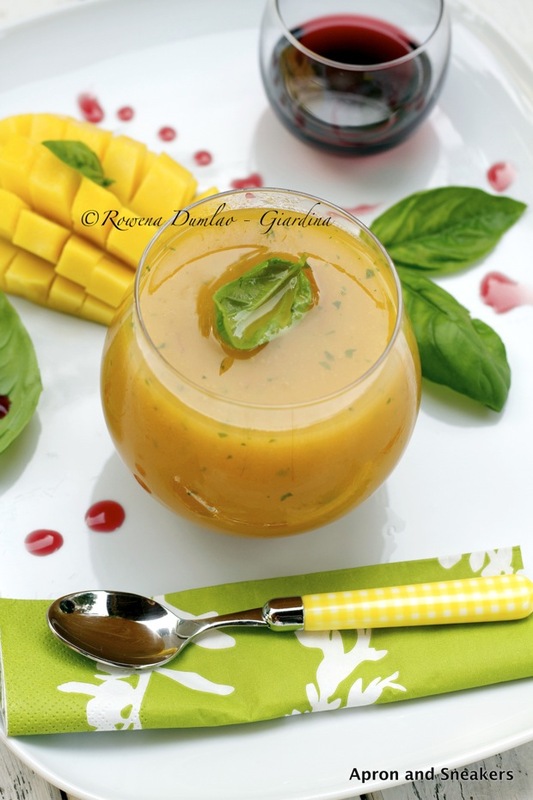 As a result, the mango and basil are the dominant flavors of this drink. Drink immediately to enjoy the crushed ice that goes with the drink. Obviously the ice melted while I was taking the photos of this glass. Cin cin to all of you and have a great summer!